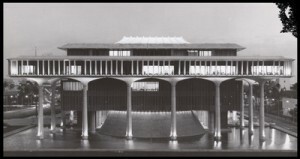 Bill testimony held at the Hawaii State Archives are statements of support or opposition on a particular bill given during a hearing. The simplest way to find testimony is to know which committee(s) the bill was assigned to and the day the committee(s) heard testimony on the bill. Follow the steps below or consult the research flow chart to find the location of the testimony.